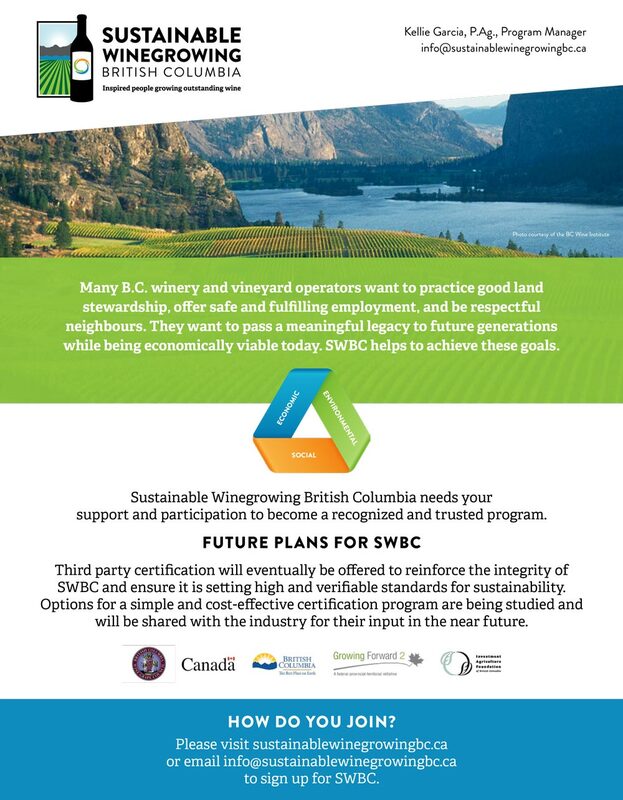 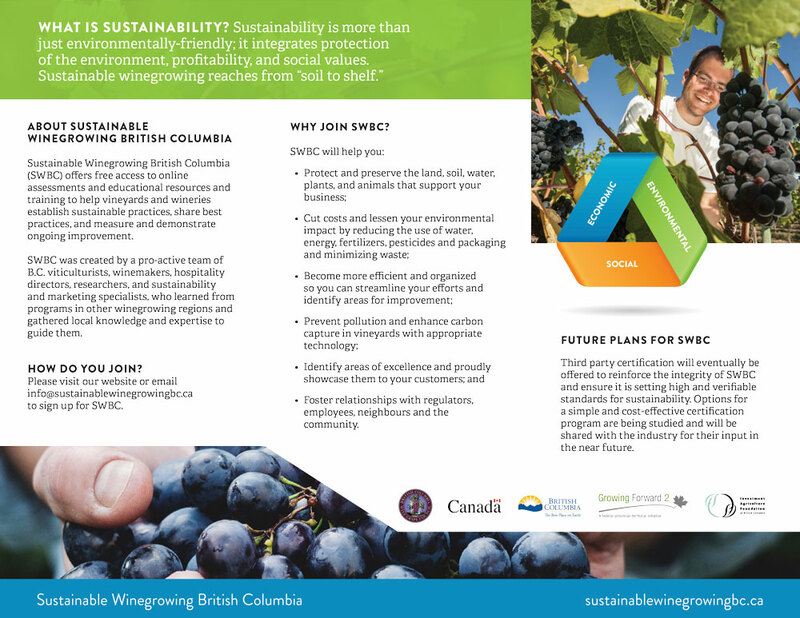 This logo was commissioned by the BC Wine Grape Council for their Sustainable Winegrowing initiative. 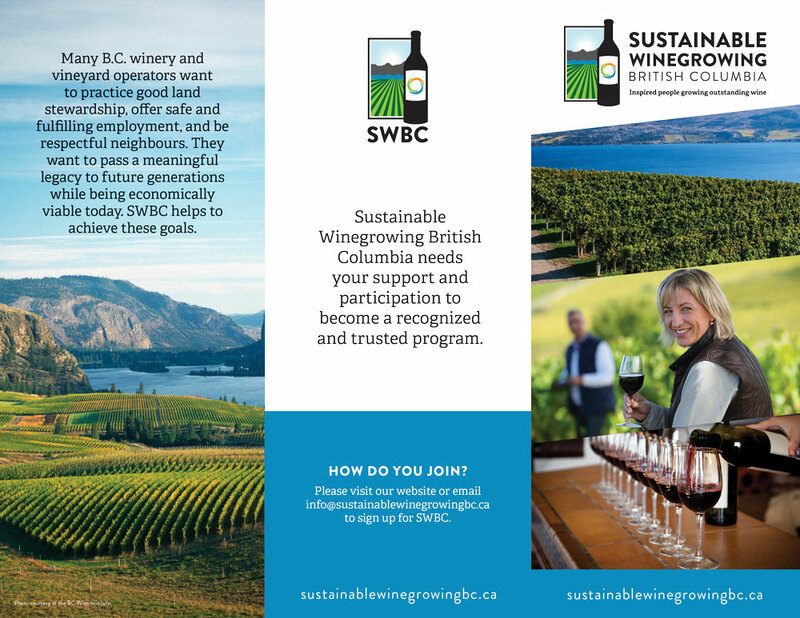 They asked that their branding be bold & modern, while embodying the essence of what makes BC unique: mountains, lakes, ocean and of course, agriculture. 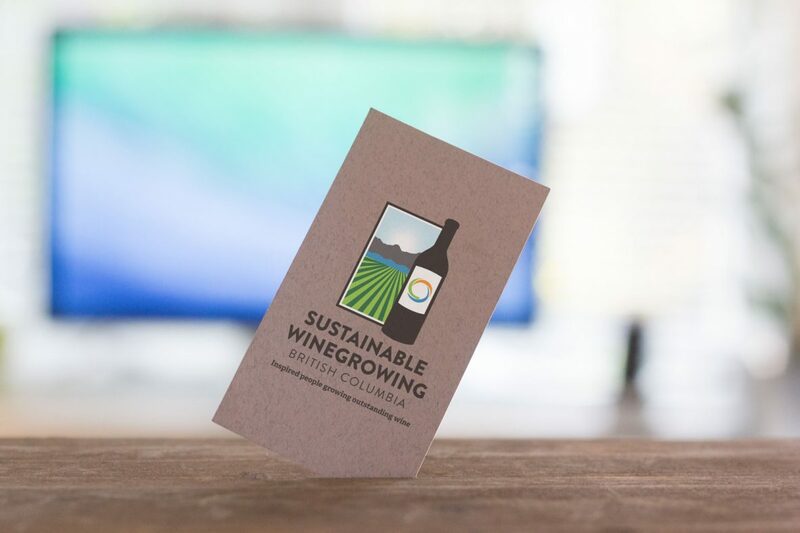 In addition, the branding needed to speak to the ideals of sustainability and winegrowing. 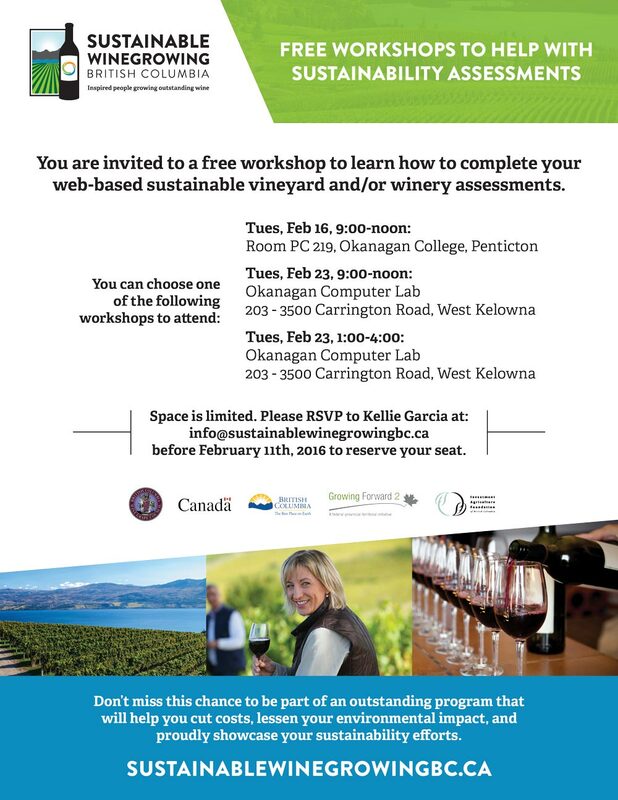 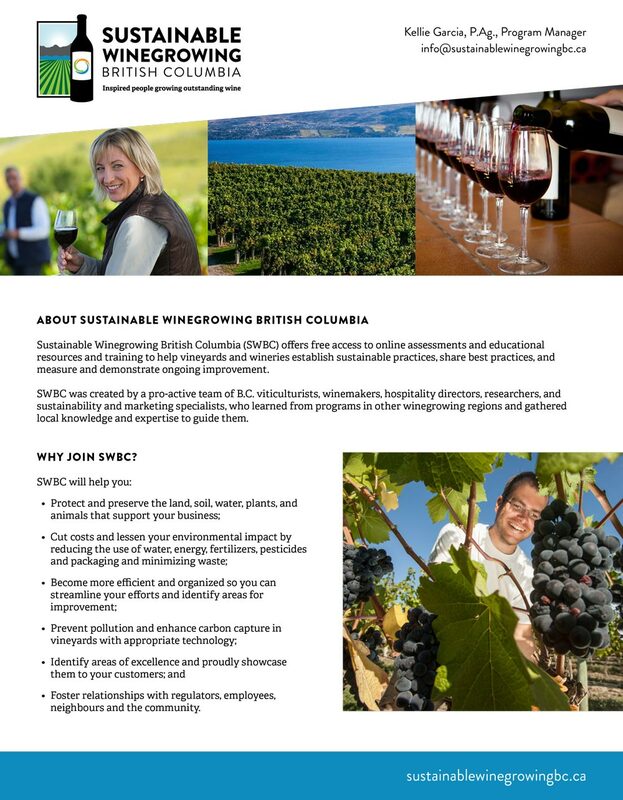 In addition to the initial logo design, Fetch Media has since completed some promotional pieces for Sustainable Winegrowing British Columbia including brochures, information sheets as well as workshop flyers.